Some days I just want to play a good game of hide and seek and never be found. The demands of life sometimes can weigh a person down to the point when everything seems to be like a tornado rather than victorious living. Day after day of work going the wrong direction or employees who just don’t understand the value of what we do. Everyday normalcies like eating and sleeping and bathing. Checking in on family and friends. Reorganizing the house. Mowing the grass. Going to the store for supplies. Sigh! The list is ginormous!!! Can I just rest? Can I just lay here and breathe? Perhaps I can just be like a chameleon, so that I can just blend in and no one sees me for a minute. Now, don’t get me wrong, I love life, but there are times when disconnecting is the best thing I can do: no phone, no computer…no point of contact. Just a moment or two with no commitments. Just enough time to rest and re-energize. These are the times when I know I can climb in my Daddy’s lap and rest. Times when He is calling me to Him. Moments of my day when I can just stop and appreciate that He loves me no matter what and He is taking care of all the things of my day. I remember as a kid climbing up on the couch next to my dad and feeling so safe, so loved, so comfortable…it is the same with God. Tonight as I was driving home from a meeting I was being wooed by God Himself. I live within minutes of beautiful Lake Michigan and I was driving the opposite direction to go home and first the cloud structures caught my eye in my mirrors. Then I began to see streams of color. For a minute I was going to turn around but it has been a long day and home was calling my name, then the whole view in my mirror got so intense I could no longer ignore it. As I found a place to change directions I was thinking several things: I am tired, its getting dark, I am low on gas. I will miss the sunset anyways. These thoughts were quietly interrupted by these simple words, “But I just want to show you something. I long to spend time with you.” I knew in that moment God was calling me into His lap, so I turned up my worship music and headed towards the lake in search of my surprise. I did not get far when a deer appeared on the side of the road just as if it was waiting for me to see it before he ran off. God knows how excited I get when I see deer. I turn into a five year old on their first visit to the zoo! As I continued on my journey I saw five more deer who were just standing there long enough for my to take a few photos. I was pretty excited at what God was showing me. I arrived at the shores of Lake Michigan just in time to see a thin red line spread across the top of the water, I had missed the sunset, but what I got to see was so much better! I got to spend some quality quiet time with my Daddy and it was amazing. Prayer: Dear Lord, Thank you for the time we get to spend together. 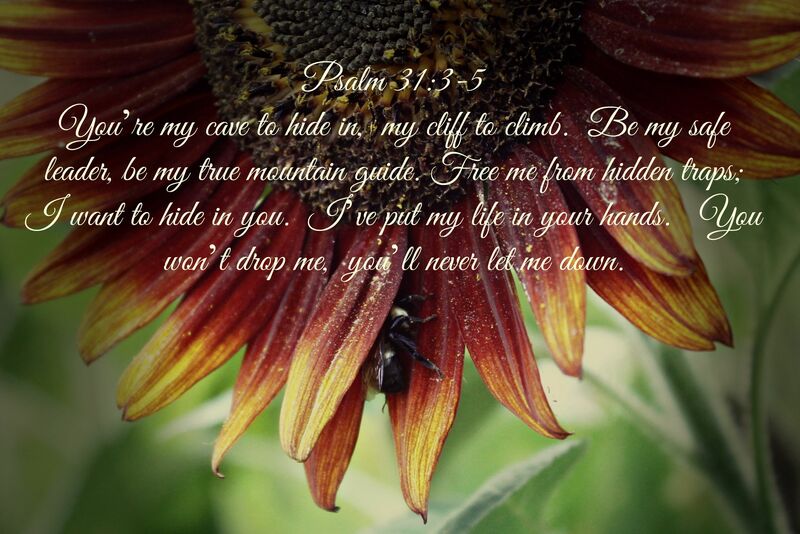 Help me to seek you more rather than hiding from You. Allow me to feel Your peace all around me. Allow me to we wooed by You. Let me be content in the small things you show me. I love you Lord and the attention to detail You provide in my life. Thank You for loving me. Thank You for keeping me safe. In Jesus Name AMEN.